Service Costs > How Much Does the Average Water Bill Cost? How Much Does the Average Water Bill Cost? These prices, according to a Circle of Blue study have increased more than 41 percent since 2010 as result due to droughts and failing infrastructure. The study also claimed the average cost is about $40 per month based on 100 gallons of usage per person, per day. Another study on MyFirstApartment.com claimed the average water bill for a one bedroom apartment was $32, whereas a two bedroom cost an average of $55 per month. A three+ bedroom would cost closer to $98 per month. The Hamilton Project created a handy infographic, showcasing the largest cities in the United States, along with the corresponding prices, assuming each household consumed 11,220 gallons. Jacksonville, Florida, for example, averaged $25 per month, while Seattle, Washington, being the most expensive on the graphic, would cost closer to $70 per month. Aside from your water usage, additional fees may be charged, depending on your water utility company. This may include a water service turn-on charge, a service charge, permit fee, installation cancellation fee, delinquent service charge, return check charge, tampering fee, non-meter installation, ball valve installation, meter relocation and/or accuracy test. 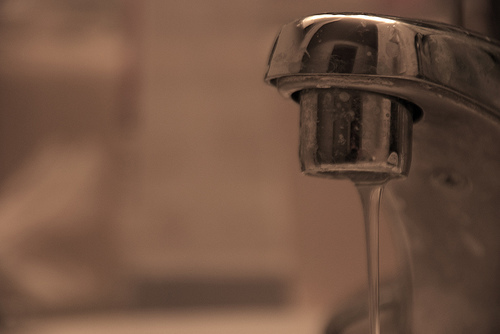 In some cases, your water bill may be tied to your HOA fees if you live in a condo setting. Refer to your HOA documentation to see if it’s included.